The life of James Bond’s creator, Ian Fleming, was celebrated in a set of stamps and limited edition items to be released by Guernsey Post, to celebrate 50 years following his death on August 12, 1964. 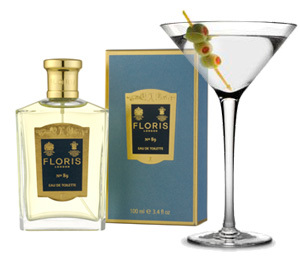 Floris No.89 fragrance was a personal favourite of Ian Fleming himself. Floris is mentioned by Ian Fleming in the novels Moonraker (“Floris provides the soaps and lotions in the lavatories and bedrooms”), Diamonds Are Forever (“He would have to send a cable to May to get things fixed. Let’s see – flowers, bath essence from Floris, air the sheets…“) and Dr. No (“There was everything in the bathroom – Floris Lime bath essence for men and Guerlain bathcubes for women.”). No.89 takes its name from the number of the Floris shop on Jermyn Street. Learn how to make The Fleming 89 Martini too! 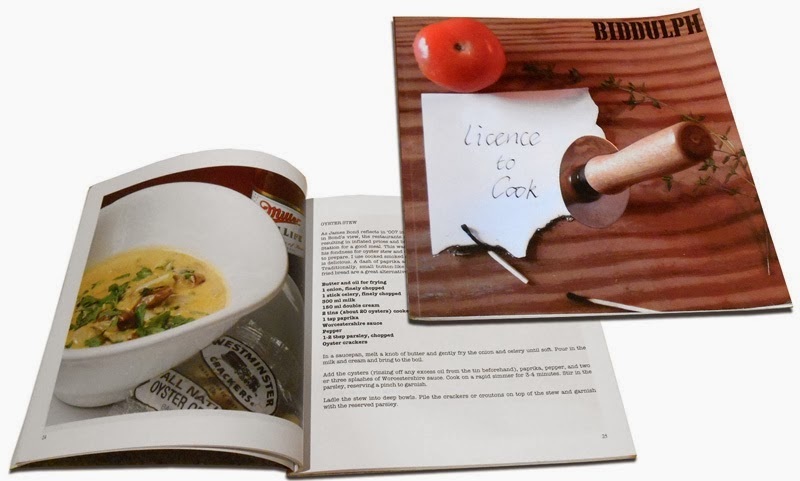 Written by James Bond Memes blog author and regular contributor to Artistic License Renewed – Edward Biddulph – this cookbook is full of exciting recipes inspired by the food that Bond eats in the novels and short stories of Ian Fleming. The recipes, devised by the author, are modern, but have a period twist. In From Russia With Love, we’re given an extensive look at the life of James Bond when he is at home and between assignments. We’re told that when Bond is stationed in London, his breakfast is always the same and he drinks his coffee out of a Chemex. 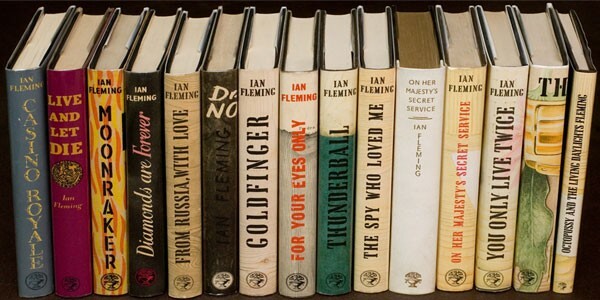 These books are the complete and unabridged versions of the original Ian Fleming novels. 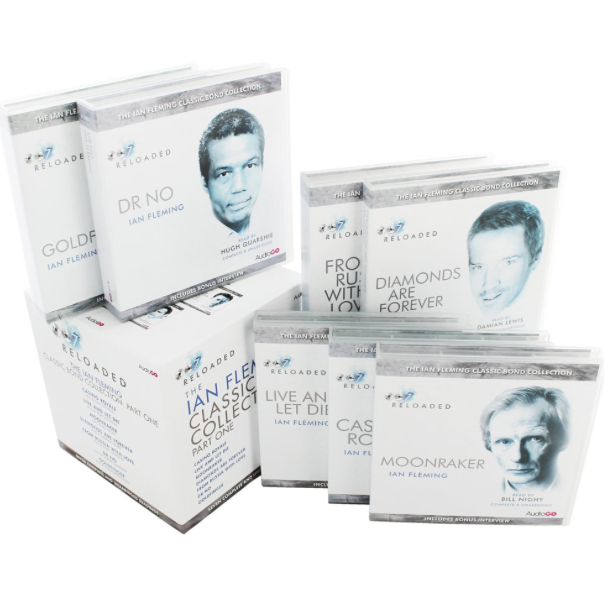 The books are read by famous British actors and actresses, including Rory Kinnear (Bill Tanner in the recent Bond films), Rosamund Pike and Toby Stephens (Die Another Day), and Downton Abbey stars Dan Stevens and Hugh Bonneville. 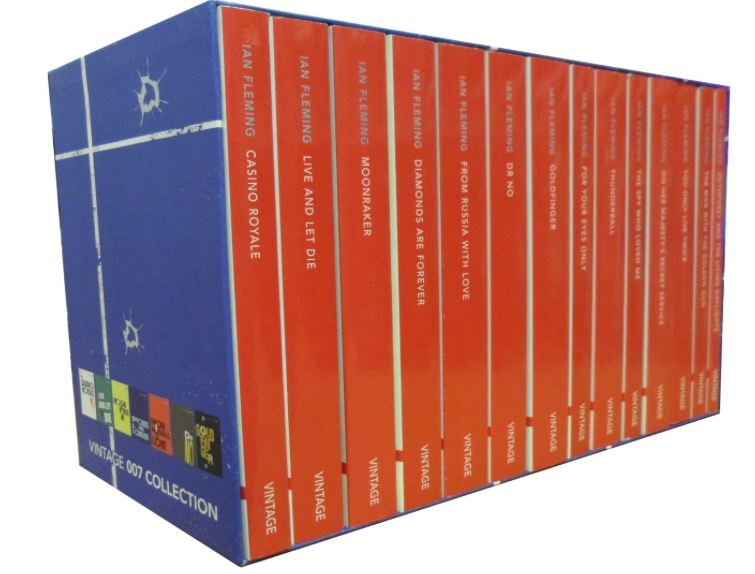 Lucy Fleming produced The Ian Fleming Classic Bond Collection audio books. She is the niece of Ian Fleming and, together with her sister, head of Ian Fleming Publications, which administers all of Ian Fleming’s literary oeuvre. 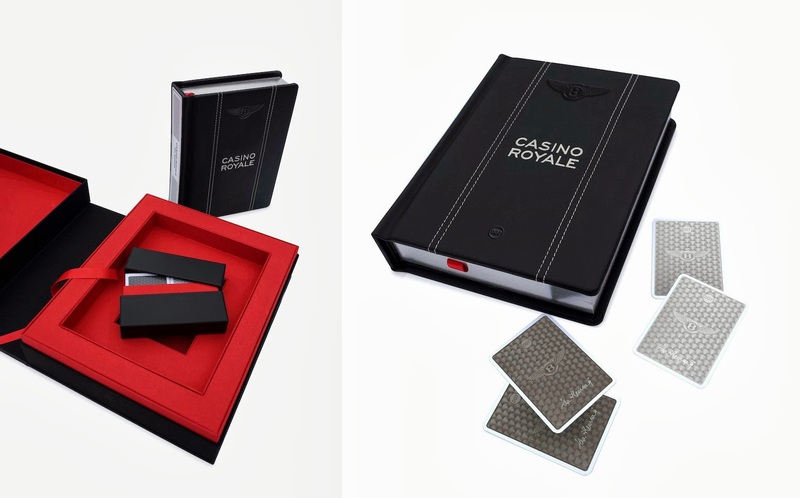 Vintage Classics and Bentley Motors united to create a luxury special edition of Casino Royale to mark 60 years of Bond. Just 500 copies were produced, each costing £750. Offering amazing value for money, each book is also presented in a wonderfully stylish vintage jacket and features a foreword from a leading contemporary author. What is particularly fun about this series is that each book included an introduction by a notable author including: Andrew Taylor, Simon Winder, Giles Foden, Susan Hill and more. An outstanding work of meticulous scholarship, covering every aspect of Fleming’s writings, manuscripts, proofs, corrected or uncorrected, first and all later impressions, paperback editions and all subsequent printings and editions. It gives insight into the conception of a book, the editorial process, in short, Jon Gilbert’s work covers all that possibly is to know, all one can possibly know, about Fleming and his writings. 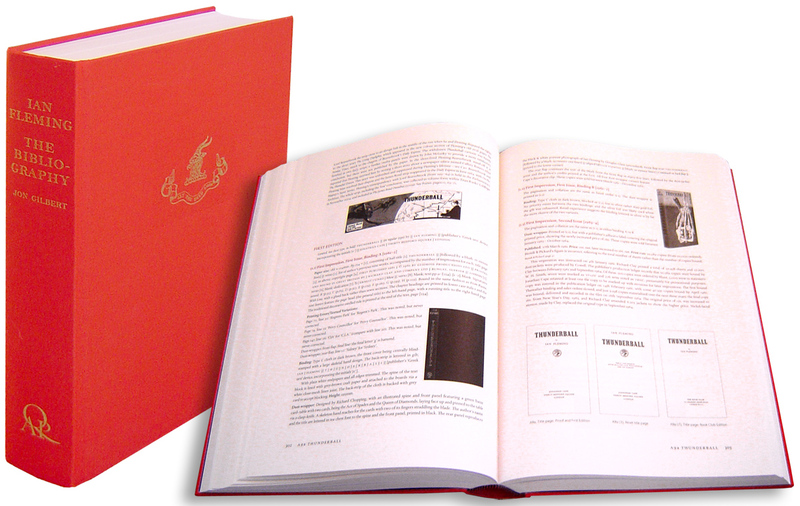 It won the 16th ILAB Breslauer Prize for Bibliography in 2013. 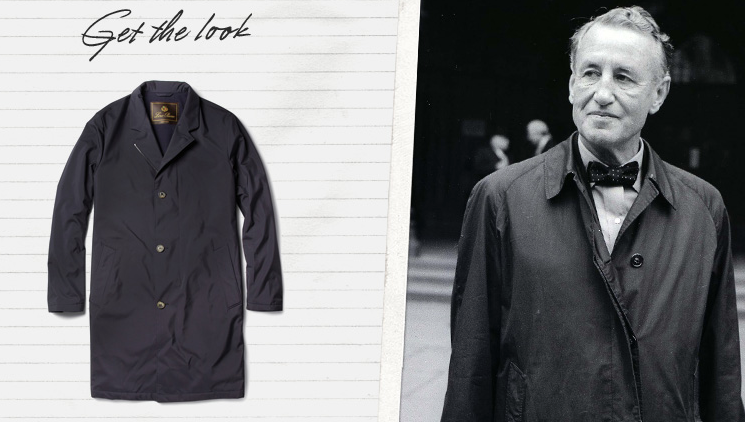 Burberry was for the raincoat in The Man with the Golden Gun. Saxone is no longer in business, but the other two are. The Burberry is still the most well-known brand for trench coats, and Bond’s raincoat is mentioned to be dark blue in On Her Majesty’s Secret Service. Why not? Second prize would be later pressings of first editions and third prize might be some a nice Vintage Press paperback set.